Area: 22,966 sq. km. (8,867 sq. mi. ); slightly larger than Massachusetts. 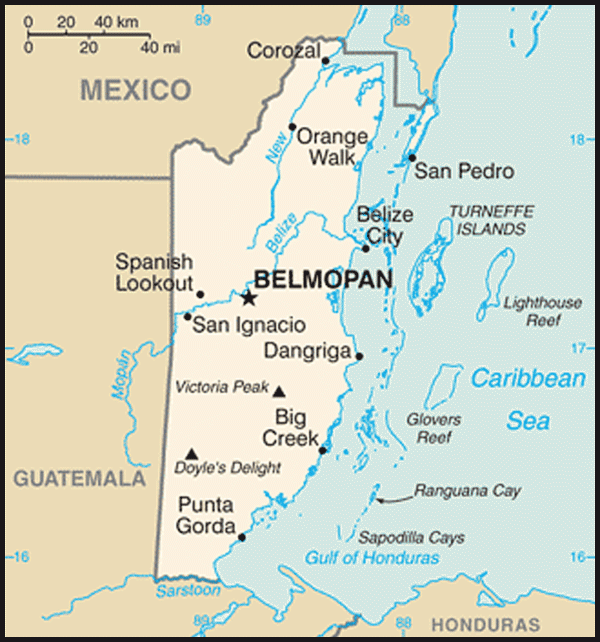 Cities (2010 census): Capital: Belmopan (13,351). Other cities and towns — Belize City (53,532), Corozal (9,901), Orange Walk (13,400), San Ignacio and Santa Elena (16,977), Dangriga (9,096), Punta Gorda (5,205), and San Pedro (11,510). Terrain: Flat and swampy coastline, low mountains in interior. Climate: Subtropical (dry and wet seasons). Hot and humid. Rainfall ranges from 60 inches in the north to 200 inches in the south annually. Nationality: Noun and adjective — Belizean(s). Annual population growth rate (2010 census): 2.65%. Ethnic groups: Creole, Garifuna, mestizo, Mayan. Religions: Roman Catholic, Anglican, Methodist, Mennonite, other Protestant, Muslim, Hindu, and Buddhist. Languages: English (official), Creole, Spanish, Garifuna, Mayan. Education: Years compulsory: 9. Attendance (2006 est.) — 90% primary; 38% secondary. Literacy (2006 est.) — 76.5%. Health (2009): Infant mortality rate: 23.07/1,000 live births. Life expectancy — 68.2 years. Work force (2009; 122,300): Services; agriculture, hunting, forestry, and fishing; industry and commerce. Branches: Executive: Queen Elizabeth II (head of state), represented by a governor general; prime minister (head of government, 5-year term). Legislative — bicameral National Assembly. Judicial — Court of Appeal, Supreme Court, district magistrates. Political parties: United Democratic Party (UDP), People's United Party (PUP), National Alliance for Belizean Rights (NABR), National Reform Party (NRP), Vision Inspired By the People (VIP), People's National Party (PNP), We the People Reform Movement (WTP). GDP (current market prices, 2010; World Bank): $1.43 billion. Real annual growth rate (World Bank): 2% (2010); -0.03% (2009). Per capita income (current market prices, 2010; World Bank): $4,153. Avg. inflation rate (2010, World Bank): 0.88%. Natural resources: Arable land, timber, seafood, minerals. Primary sectors (11.4% of GDP, 2010; Central Bank of Belize): Agriculture, forestry, fishing, petroleum, and mining. Secondary sectors (20.9% of GDP, 2010; Central Bank of Belize): Manufacturing, electricity and water supply, and construction. Tertiary sectors (54.1% of GDP, 2010; Central Bank of Belize): Hotels and restaurants, financial intermediation, trade, and transport and communication. Trade (World Trade Organization): Exports (2010) — $325 million: cane sugar, citrus concentrate, marine products, bananas, clothing, molasses, and crude oil. Major markets — U.S. (49.1%), EU (31.3%), Costa Rica, Japan, Mexico. Imports (2010) — $709 million: food, consumer goods, machinery and transportation equipment, chemicals, pharmaceuticals, tobacco, mineral fuels, and lubricants. Major suppliers — U.S. (47.9%), Mexico, China, Guatemala, and Panama. 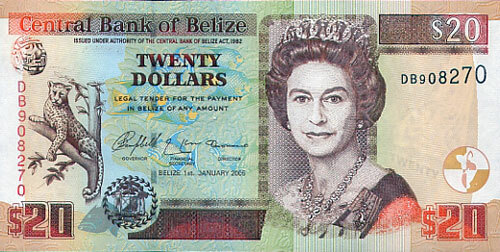 Official exchange rate: Since 1976 Belizean banks have bought U.S. dollars at the rate of 2.0175 and sold them at 1.9825, making for an effective fixed rate of Belize $2=U.S. $1. Belize is the most sparsely populated nation in Central America. It is larger than El Salvador and compares in size to the State of Massachusetts. Slightly more than half of the population lives in rural areas. About one-fifth live in Belize City, the principal port, commercial center, and former capital. More than one-third of the population is comprised of persons younger than 14 years of age. Most Belizeans are of multiracial descent. About 43.7% of the population is of mixed Mayan and European descent (mestizo); 29.8% are of African and Afro-European (Creole) ancestry; about 11.0% are Mayan; and about 6.6% are Afro-Amerindian (Garifuna). The remainder, about 8.9%, includes European, East Indian, Chinese, Middle Eastern, and North American groups. English, the official language, is spoken by virtually all except the refugees who arrived during the past decades. Spanish is the native tongue of about 50% of the people and is spoken as a second language by another 20%. The various Mayan groups still speak their indigenous languages, and an English-Creole dialect similar to the Creole dialects of the English-speaking Caribbean Islands is spoken by most. The rate of functional literacy is 76%. About 50% of the population is Roman Catholic; the Anglican Church and other Protestant Christian groups account for most of the remaining 50%. Mennonite settlers number about 8,500. The Mayan civilization spread into the area of Belize between 1500 BC and AD 300 and flourished until about AD 1200. Several major archeological sites — notably Caracol, Lamanai, Lubaantun, Altun Ha, and Xunantunich — reflect the advanced civilization and much denser population of that period. European contact began in 1502 when Christopher Columbus sailed along the coast. The first recorded European settlement was established by shipwrecked English seamen in 1638. Over the next 150 years, more English settlements were established. This period also was marked by piracy, indiscriminate logging, and sporadic attacks by Indians and neighboring Spanish settlers. Great Britain first sent an official representative to the area in the late 18th century, but Belize was not formally termed the "Colony of British Honduras" until 1840. It became a crown colony in 1862. Subsequently, several constitutional changes were enacted to expand representative government. Full internal self-government under a ministerial system was granted in January 1964. The official name of the territory was changed from British Honduras to Belize in June 1973, and full independence was granted on September 21, 1981. Belize is a parliamentary democracy based on the Westminster model and is a member of the Commonwealth. Queen Elizabeth II is head of state and is represented in the country by Governor General Colville N. Young, Sr., a Belizean and Belize's second governor general. The primary executive organ of government is the cabinet, led by a prime minister (head of government). Cabinet ministers are members of the majority political party in parliament and usually hold elected seats in the National Assembly concurrently with their cabinet positions. The National Assembly consists of a House of Representatives and a Senate. The 31 members of the House are popularly elected to a maximum 5-year term. The governor general appoints the Senate's 12 members. Six are appointed in accordance with the advice of the prime minister, 3 with the advice of the leader of the opposition. The Belize Council of Churches and the Evangelical Association of Churches, the Belize Chamber of Commerce and Industry and the Belize Business Bureau, and the National Trade Union Congress and the Civil Society Steering Committee each advise the Governor General on the appointment of one senator each. (A majority of Belizeans who decided to participate in the referendum held along with the national elections on February 7, 2008 voted in favor of a change from the current appointed Senate to an elected one. This change will take effect during the next general election, which is slated to take place by early 2013.) The Senate is headed by a president, who is a non-voting member appointed by the governing party. Members of the independent judiciary are appointed. The judicial system includes local magistrates, the Supreme Court, and the Court of Appeal. In 2001 Belize joined with most members of the Caribbean Common Market (CARICOM) to establish a "Caribbean Court of Justice," which was inaugurated on April 16, 2005. In June 2010, the Belizean Government made the Caribbean Court of Justice the highest court for Belize, replacing the Privy Council in London. The country is divided into six districts: Corozal, Orange Walk, Belize, Cayo, Stann Creek, and Toledo. In national elections on February 7, 2008, the United Democratic Party (UDP) prevailed over the incumbent People's United Party (PUP). The UDP won 25 of the 31 seats in the House of Representatives, while the PUP won the other six seats. UDP leader Dean Barrow replaced PUP leader Said Musa as Prime Minister. The PUP governed Belize from 1998-2008; the UDP from 1993-98; the PUP from 1989-1993; and the UDP from 1984-89. Before 1984, the PUP had dominated the electoral scene for more than 30 years and was the party in power when Belize became independent in 1981. Third-party alternatives to the two-party system have arisen in the recent years, but these parties garnered less than 2% of the vote in the February 2008 elections. The UDP is responding to concerns of an unsustainable foreign debt, high unemployment, growing involvement in the South American drug trade, high crime rates, and increasing incidents of HIV/AIDS through a four-pillar approach: social investment through poverty alleviation; job creation through public sector investment; improving access to credit; and combating crime and violence. As of March 2011, Belize's total national debt (both external and domestic) was U.S. $1.0156 billion, an amount equivalent to approximately 75.3% of GDP. On January 31, 2007 the Government of Belize officially announced that the holders of Belize's public external commercial debt had agreed to exchange their existing claims against the country for new bonds to be issued by Belize, maturing in 2029. Belize traditionally maintains a deep interest in the environment and sustainable development. In August 2001, the governments of the U.S. and Belize, in conjunction with The Nature Conservancy, announced a debt-for-nature swap under the Tropical Forest Conservation Act. The $5.5 million in appropriated funds were combined with $1.3 million in private funds raised by The Nature Conservancy to reduce Belize's official debt to the U.S. by half. Under the agreement, the Government of Belize issued obligations to generate approximately $9 million in local currency payments to help a consortium of four local non-governmental organizations (NGOs) administer conservation activities in protected areas. On other fronts, the government is working to improve its law enforcement capabilities. A longstanding territorial dispute with Guatemala continues, although cooperation between the two countries has increased in recent years across a wide spectrum of common interests, including trade and environment. Seeing itself as a bridge, Belize is actively involved with the Caribbean nations of CARICOM, works with its Central American neighbors as a member of SICA (Central American Integration System), and participates in the Organization of American States. Governor General: Colville N. Young, Sr.
Belize maintains an embassy in the United States at 2535 Massachusetts Avenue NW, Washington, DC 20008 (tel: 202-332-9636; fax: 202-332-6888; website: (http://www.embassyofbelize.org/) and a consulate in Los Angeles. Belize travel information office in New York City: 800-624-0686. Forestry was the only economic activity of any consequence in Belize until well into the 20th century, when the supply of accessible timber began to dwindle. Cane sugar then became the principal export. Exports were augmented by expanded production of citrus, bananas, seafood, and apparel. The agricultural sector suffered from damage caused by hurricanes that struck Belize in late 2007 and late 2010 and heavy flooding in mid-June and October of 2008. The farmed shrimp industry, a chief export earner until 2005, continues to decline. Belize was adversely impacted by the global downturn in 2009, but the economy recovered modestly in 2010. GDP growth reached 2.0% during 2010, supported by government services and commerce. However, Belize's economic performance is highly susceptible to external market changes. Tourism is Beilze's number one foreign exchange earner, followed by exports of crude oil, marine products, citrus, sugar, bananas, and garments. Because of the uncertain future of these traditional exports, efforts are being made toward agricultural diversification. Agriculture currently provides some 71% of the country's total foreign exchange earnings and employs approximately 29% of the total labor force. Although about 1,998,230 acres (or 38% of the total land area) are considered potentially suitable for agricultural use, only approximately 10% to 15% is in use in any one year. About half of this is under pasture, with the remainder in a variety of permanent and annual crops. The traditional system of "milpa" (shifting cultivation) involves the annual clearing of new land for crop production; however, increasing numbers of farmers are making permanent use of cleared land by mechanical means. A tax is levied on the unimproved "value" of the land. To curb land speculation, the government enacted legislation in 1973 that requires non-Belizeans to complete a development plan on land they purchase before obtaining title to plots of more than 10 acres of rural land or more than one-half acre of urban land. Domestic industry is limited, constrained by relatively high-cost labor and energy and a small domestic market. Some 185 U.S. companies have operations in Belize. Tourism attracts the most foreign direct investment, although U.S. investment also is found in the telecommunications and agricultural sectors. A combination of natural factors — climate, the longest barrier reef in the Western Hemisphere, numerous islands, excellent fishing, safe waters for boating, jungle wildlife, and Mayan ruins — support the thriving tourist industry. The Government of Belize has designated tourism as one of its major development priorities. Belize's banking system reported a surge in nonperforming loans (NPLs) in 2010, equivalent to 16.1% of total loans by the end of 2010, although by mid-2011 the number had declined slightly to 15.2%. While banks comply with current regulations, provisioning remains low by international standards, covering less than 16% of NPLs. The increase in NPLs has been largely concentrated in three banks (two domestic banks and one offshore), which account for over 40% of deposits in the banking system. Belize's investment policy is codified in the Belize Investment Guide, which sets out the development priorities for the country. A Country Commercial Guide (http://belize.usembassy.gov/country_commercial_guide.html) for Belize is available from the U.S. Embassy's Economic/Commercial section. A major constraint on the economic development of Belize continues to be the scarcity of infrastructure investments. As part of its financial austerity measures started in late 2004, the government froze expenditures on several capital projects. Although electricity, telephone, and water utilities are all relatively good, Belize has the most expensive electricity in the region. Hydroelectric facilities at Vaca Dam and a bagasse cogeneration plant at a sugar cane processing facility were brought fully online in 2010 in an effort to increase domestic capacity for electricity generation. Large tracts of land, which would be suitable for development, are inaccessible due to lack of roads. Some roads, including sections of major highways, are subject to damage or closure during the rainy season. Ports in Belize City, Dangriga, and Big Creek handle regularly scheduled shipping from the United States and the United Kingdom, although draft is limited to a maximum of 10 feet in Belize City and 15 feet in southern ports. American Airlines, Continental Airlines, U.S. Airways, Delta Airlines, and TACA provide international air service to gateways in Dallas, Houston, Miami, Charlotte, Atlanta, and San Salvador. Belize continues to rely heavily on foreign trade. World commodity price fluctuations and preferential trading agreements, especially with the United States and the European Union (cane sugar) and the United Kingdom (bananas), have greatly impacted Belize's economic performance. European Union (EU) and U.K. preferences have been vital for the expansion and prosperity of the sugar and banana industries. According to the World Trade Organization, imports for 2010 were $709 million, while exports were $325 million. The United States continues to be Belize's number-one trading partner. In 2010, the United States provided 47.9% of Belizean imports and accounted for 49.1% of Belize's exports. Other major trading partners include Mexico, the European Union, Central America, Japan, and China. Belize aims to stimulate the growth of commercial agriculture through CARICOM. 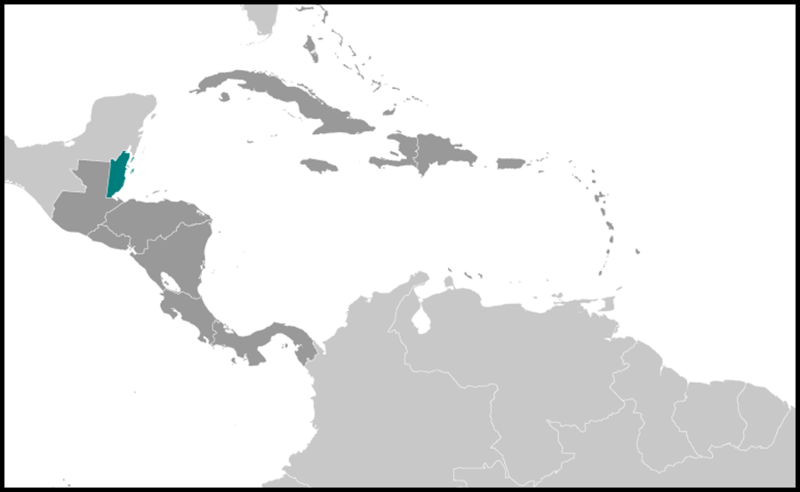 However, Belizean trade with the rest of the Caribbean is small compared to that with the United States and Europe. In June 2010, Prime Minister Dean Barrow announced changes to his cabinet. 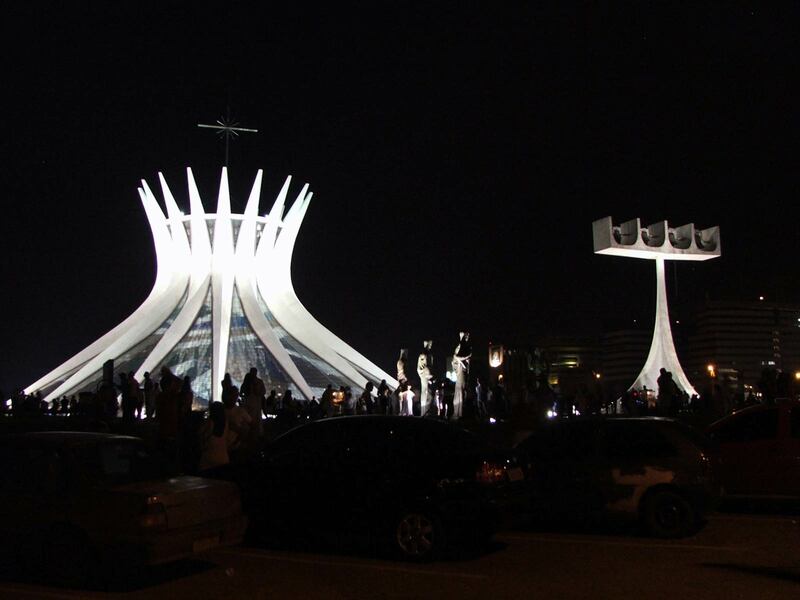 The Ministry of National Security was split into the Ministry of Defense and Ministry of Police and Public Security. This included the addition of one new cabinet position and the division of one ministry. The Belize Defense Force (BDF), established in January 1973, is comprised of a light infantry force of regulars and reservists along with small air and maritime wings. The BDF, currently under the command of Brigadier General Dario Tapia, assumed total defense responsibility from British Forces Belize (BFB) on January 1, 1994. In late 2010, the British Ministry of Defense announced plans to reduce its presence in Belize as part of cost-saving measures and reduced its troops from 70 soldiers to a skeleton staff of fewer than 10 soldiers. The BDF receives military assistance from the United States. Belize's principal external concern has been the dispute involving the Guatemalan claim to Belizean territory. This dispute originated in Imperial Spain's claim to all "New World" territories west of the line established in the Treaty of Tordesillas in 1494. Nineteenth-century efforts to resolve the problems led to later differences over interpretation and implementation of an 1859 treaty intended to establish the boundaries between Guatemala and Belize, then named British Honduras. Guatemala contends that the 1859 treaty is void because the British failed to comply with all its economic assistance clauses. Neither Spain nor Guatemala ever exercised effective sovereignty over the area. Negotiations have been underway for many years, including one period in the 1960s in which the U.S. Government sought unsuccessfully to mediate. A 1981 trilateral (Belize, Guatemala, and the United Kingdom) "Heads of Agreement" was not implemented due to continued contentions. Belize became independent on September 21, 1981, with the territorial dispute unresolved. Significant negotiations between Belize and Guatemala, with the United Kingdom as an observer, resumed in 1988. Guatemala recognized Belize's independence in 1991, and diplomatic relations were established. Eventually, on November 8, 2000, the two parties agreed to respect an "adjacency zone" extending one kilometer east and west from the border. Around this time, the Government of Guatemala insisted that the territorial claim was a legal one and that the only possibility for a resolution was to submit the case to the International Court of Justice (ICJ). However, the Government of Belize felt that taking the case to the ICJ or to arbitration represented an unnecessary expenditure of time and money. So the Belizean Government proposed an alternate process, one under the auspices of the Organization of American States (OAS). Since then, despite efforts by the OAS to jumpstart the process, movement has been limited to confidence-building measures between the parties. In November 2007, the Secretary General of the OAS recommended that the dispute be referred to the ICJ. Currently Belize and Guatemala are preparing for a referendum, to be held simultaneously in both countries, on whether this dispute will move forward to the ICJ. The referendum is expected to occur no sooner than 2013. In order to strengthen its potential for economic and political development, Belize has sought to build closer ties with the Spanish-speaking countries of Central America to complement its historical ties to the English-speaking Caribbean states. In 2005 Belize joined other Central American countries participating in the Cooperating Nations Information Exchange System (CNIES), which assists in locating, identifying, tracking, and intercepting civil aircraft in Belize's airspace. Belize and other Central American countries signed the Conjunta Centroamerica-USA (CONCAUSA) agreement on regional sustainable development. Belize held the presidency of the Central American Integration System (SICA) for a 6-month period in 2010. Belize is a member of CARICOM, which was founded in 1973, and held the chairmanship of CARICOM for a 6-month period in 2008. Belize became an OAS member in 1990. The United States and Belize traditionally have had close and cordial relations. The United States is Belize's principal trading partner and major source of investment funds. It is also home to the largest Belizean community outside Belize, estimated to be over 100,000. Belize's economic growth and accompanying democratic political stability are important U.S. objectives. International crime issues dominate the agenda of bilateral relations between the United States and Belize. The United States is working closely with the Government of Belize to fight illicit narcotics trafficking, and Belize benefits from the Central America Regional Security Initiative (CARSI). Through CARSI, the U.S. Government seeks to strengthen citizen safety and improve the government's capacity to confront and disrupt criminal organizations. Both governments also seek to control the flow of illegal migrants to the United States through Belize. Belize and the United States brought into force a Stolen Vehicle Treaty, an Extradition Treaty, and a Mutual Legal Assistance Treaty between 2001 and 2003. The U.S. military has a diverse and growing assistance program in Belize that has included the construction and renovation of several schools and youth hostels, medical assistance programs, and drug reduction programs. The U.S. Military Liaison Office (MLO), in conjunction with the Belize Defense Force, also worked to establish the Belize National Coast Guard. The U.S. Agency for International Development (USAID) closed its Belize office in August 1996 after a 13-year program during which USAID provided $110 million worth of development assistance to Belize. Belize still benefits from USAID regional programs. In addition, during the past 42 years, almost 2,000 Peace Corps volunteers have served in Belize. As of October 2011, the Peace Corps had 65 volunteers working in Belize. The U.S. Embassy is located in the City of Belmopan on Floral Park Street. The mailing address is P.O. Box 497, Belmopan, Cayo District, Belize, Central America: tel: 011-501- 822-4011 from the United States or 822-4011 locally; fax: 011-501-822-4012 Main number; 822-4053 Administrative Office; 822-4050 Consular Section. E-mail address: embbelize@state.gov, Web site address: http://belize.usembassy.gov/.